On Saturday, 22 August 2009, Janice represented the Animal Rescue League of Boston as a volunteer at the “Blues and Brews” festival in Westford, Massachusetts. I met Brian W. and a friend at the AMC Framingham cineplex to screen District 9. We enjoyed the science fiction film, which was an overt allegory about apartheid (although some viewers seem to have missed that). Sharlto Copley plays Wikus van de Merwe, a clueless employee of a government contractor managing camps for extraterrestrial refugees nicknamed “Prawns.” The abject poverty, casual racism, and enclaved middle class are all the more believable because of the South African setting. Footage of actual riots is used for some scenes. our skins. The first half of District 9 plays like a documentary, while the second half is more of an action/horror flick, similar to Aliens or The Fly. Producer Peter Jackson, best known of the Lord of the Rings adaptation, no doubt helped this movie get a wider release, which it deserved. 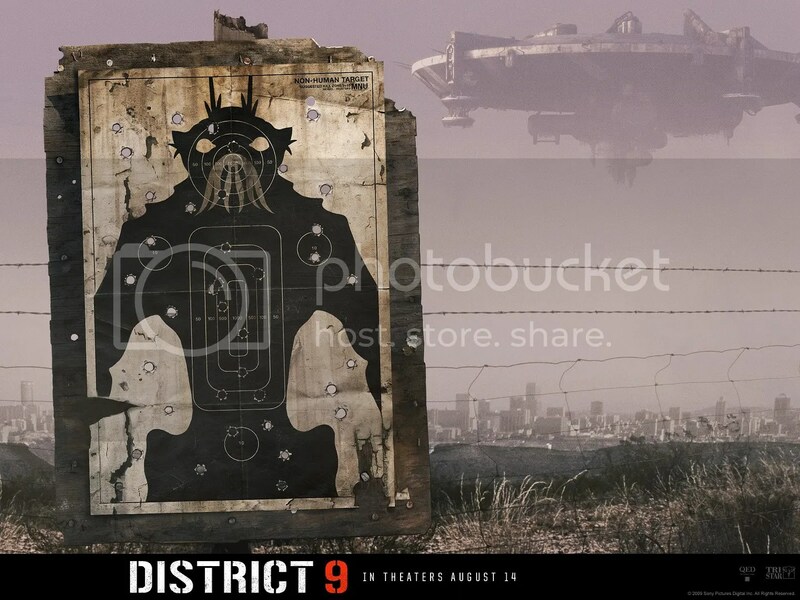 I’d give District 9 an 8.5 out of 10, or an A-. Despite Hollywood’s reliance on established franchises, it’s nice to see something relatively original. Coming soon: Gaming, work, dining out, and superheroes! Posted on August 27, 2009 by GeneD5Posted in Food, Movies, Speculative FictionTagged horror, review, science fiction.